The Rossignol Seek 7 HD is a great ski for the intermediate to advanced skier looking to open up their terrain options to powder and ungroomed snow. Rossignol's Freeride Rocker uses a rockered tip and tail for incredible floatation and control when you want to head into some fresh snow, while making the ski easy to turn and control on the groomers. Camber underfoot allows for edge hold and rebound when you are spending time on the groomers. The Air Tip 2.0 moves heavier material away from the tip of the ski and moves it further back to lower the swingweight and improve maneuverability when you get into some tight trees. A Poplar Wood Core feels light on your feet, yet stable when you want to let them run. The Central Sidewall/Cap Construction allows you to have a forgiving skid if you want by having a cap construction in the tip and tail with a sidewall underfoot that grips firm terrain when you need it. The 86mm waist is easily capable of medium radius turns on the groomers, and zipping through the bumps or hitting some fresh powder. If you are looking for a ski that will help you get off of the groomers and ride great when you are on groomed terrain, the Rossignol Seek 7 HD is a great choice. 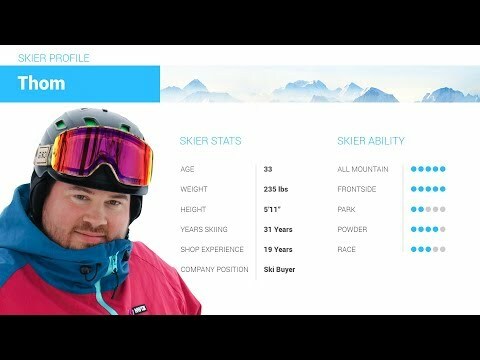 2019 Rossignol Seek 7 HD Ski Review by Adam. 2019 Rossignol Seek 7 HD Ski Review by Thom . 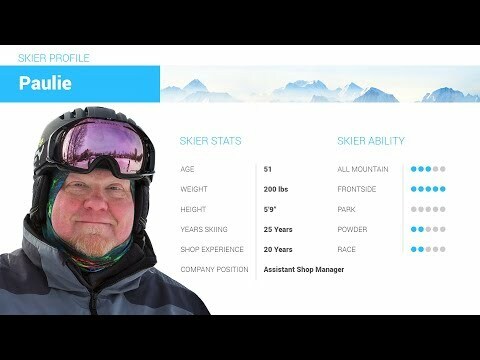 2019 Rossignol Seek 7 HD Ski Review by Paul . Q: Hey, I'm a bit confused as I'm thinking my Experience 80s are easier to turn because they have a shorter turning radius (I think 15 @ 172cm?). I want to have something a little bit easier for when I'm in the woods on the East Coast, and don't know if these will in fact be easier than my Experience 80s. I currently ride 168cm and am 5'7" 150lbs. A: A shorter turning radius makes the skis come around quicker, but only when you are on groomed terrain. Different degree slopes with undulations in the terrain like you would find in the trees throw measurements like the turning radius out the window. 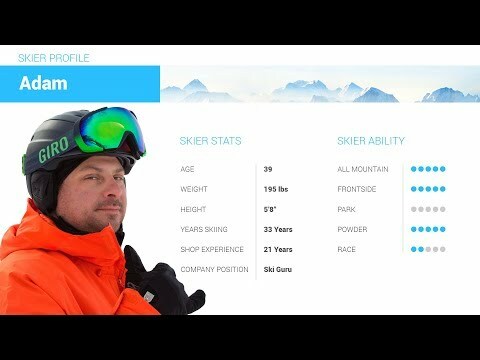 However the rocker profile and waist width will make this a much better ski for you when you are in the woods verses your groomer specific E80. Q: Is this new skis or used skis? Can the binding adjustable? A: These skis are new. They utilize the Xpress binding system which has a plate pre-installed on the skis that the binding mounts to. This means you do not need to re-drill the ski for different boot sizes, but they still need to be adjusted by a certified technician if you are changing skiers or boot sizes.